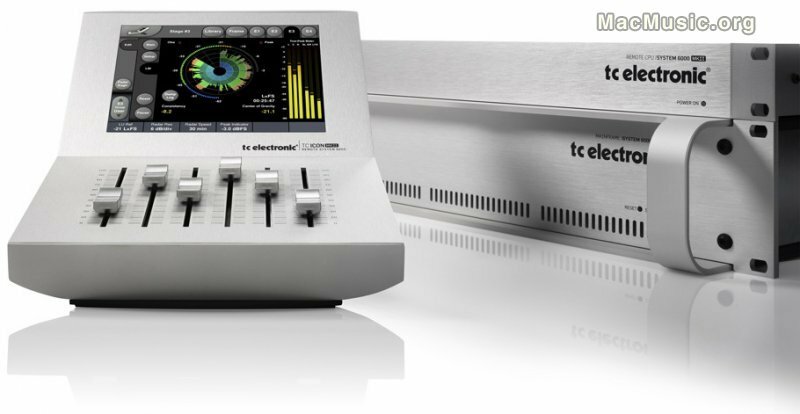 "TC's ultimate reverb and signal processor redefines what it means to be an industry standard. Now with System 6000 MKII the best is about to get even better. Reverb 6000 and Mastering 6000 offers the same core structure, features and hardware configurations, and therefore the following is valid for both products. The heart of Reverb 6000 and Mastering 6000 is the Mainframe 6000 housing all processing, physical input/output and connections for external control. The main control surface is the TC Icon remote-head and CPU, which easily connect via Ethernet to the Mainframe. The TC Icon remote are also available as software editors for both Mac and PC. Multiple Mainframes and TC Icons/Editors can be integrated into a network. Mainframe 6000 houses an extremely sophisticated and flexible processor structure, utilizing the leading DSP architecture. One mainframe hosts up to four audio processors, referred to as "Engines". Each Engine can be loaded with any of the processing algorithms available in the Library banks. All four processors have equal DSP-power and are supported with a large amount of external RAM. Therefore any Engine can be loaded with a variety of different algorithms from Reverbs and effects to Dynamics and EQ. All four Engines handle up to 8 input and 8 output channels each, depending on the loaded algorithm type. This enables to create a wealth of configurations: e.g. four stereo-reverbs; or two stereo-reverbs and a 5.1 reverb; or have a full 5.1 mastering setup with EQ, dynamics and format-conversion in one mainframe – the number of combinations are endless." See local distributor for full pricing details. Owners of the original System 6000 will have the opportunity to upgrade their System 6000 frame to full MKII specifications.